On a nippy night just a few days ago, I decided to put on some sweats, open up my laptop and click on the “Flix”. I was initially going to catch up on my favorite (and only tv I watch) show, Scandal, but when I saw “Iris” pop up on the screen with an image of Iris Apfel, a legendary fashionista in the New York community and beyond, I quickly changed my tune. A fellow fashionista, I couldn’t help but hit play and begin to watch the fascinating tale of this sartorial star. With over 75 years of influencing fashion, interior design, art and all other things fabulous in New York City, Ms. Apfel has created an empire of epic proportions. The documentary highlights her rise to fame, including her eccentrically, and carefully curated, collection of apparel and accessories. Asked what her rules are for combining cloths and chunks of jewelry, she very casually says, “I don’t have any rules because I would just be breaking them”. Iris hit the nail on the head because this is what New York fashion and style is all about – it’s creative, its couture, its independent and it’s cool. 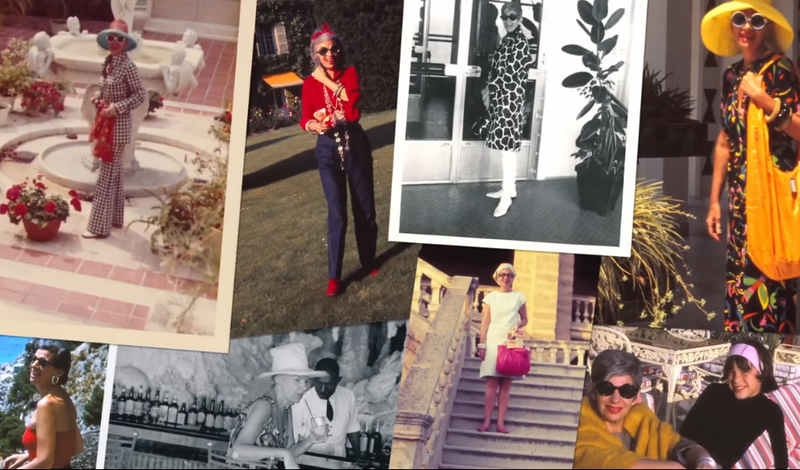 Over the course of eight decades, Ms. Apfel has traveled all over the world, and certainly all over New York City, collecting items from just about every corner of the globe. In one scene, she shops the streets and small stores of Harlem, popping into an authentic African shop. There, she marvels at the magnificent colors and delicate designs of the African apparel. She even haggles with the shop owner, asking him for a better price on a number of items she selected to add to her collection. He clearly had no idea of the influencer that stood before him. The film is a darling depiction of a culture, fashion and New York City icon, who has inspired and influenced the masses for decades. 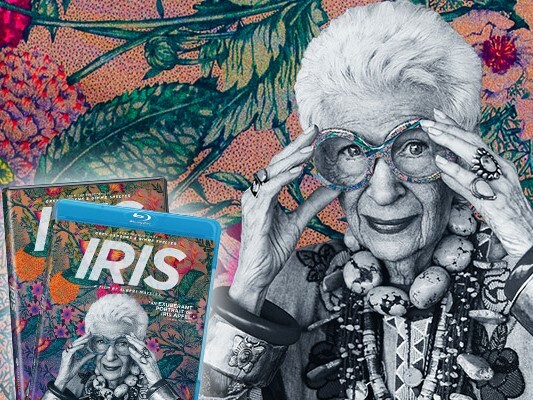 The film’s director, Albert Maysles, is careful to portray the history, personal story, and public perception of this cultural icon and local celebrity, while allowing the viewer to feel like they’ve known Iris (and her assemblage) their entire life. A combination of wit, glamour and grace, Iris is a must see! Iris Apfel’s zest for life, and ability to color the world, are remarkable…and somewhat enviable. If only we could all see life through Iris’ (black, bespectacled) lens.